As our society gets deeper into a health care crisis, many people have turned to the power of natural therapies for human health. And why not? We are, in fact, a product of nature in our physical manifestation. One of the most critical nutrients provided to us by nature is oxygen. It is readily used by every cell in the body, and we cannot go more than a few minutes without it. Not only is oxygen of critical importance for all cells to properly function, but its role in repair and regeneration is even more critical. The body needs a streaming and constant supply of oxygen because all cells need to convert the stored energy in food into usable energy for the body called adenosine triphosphate (ATP). This is the body’s currency of energy. All cells spend this energy currency for all functioning. When there are more injuries and degeneration, the body needs more of this ATP currency which can easily be accomplished by greater oxygen levels. Two technologies that have been shown to significantly increase cellular energy and ATP levels are hyperbaric oxygen therapy and low-level light therapy. Both of these therapies demonstrate astounding effects with just a simple addition of oxygen and light — something nature has always provided for us and is now therapeutically harnessed through advancements in technology. This noninvasive therapy is very effective in dissolving increased levels of oxygen into all areas of our body and has been used in hospitals to help heal wounds, fight infection and prevent radiation injury. Its application allows for an immediate rise in blood plasma oxygen levels, which then can transfer into affected tissue that requires extra energy for support — particularly in the repair and regeneration of tissue. This takes time, and typically the procedure is applied daily for up to 40 hours. The increase in oxygenation helps to reverse states of tissue in oxygen depletion, clinically known as hypoxia which is often the cause of most cellular damage when an individual is affected by a disease. HBOT has been shown to help ameliorate several indications related to inflammation and compromised blood flow and conditions that thrive in a hypoxic state: cancer, diabetes, stroke, autism, traumatic brain injury, cerebral palsy, macular degeneration, Lyme disease and neurological disorders. The final effects from the typical application of HBOT has been shown to create new blood vessels, generate new tissue and collagen, increase the body’s stem cell production and mobilization and support immune activity. 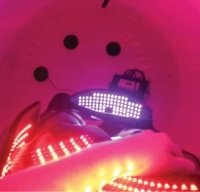 Similar to HBOT, low-level laser therapy provides a significant supply of vital ATP energy with the main difference being the application of light pads to localized target tissue. Light contains billions of photons and these photons are packages of energy. You have probably heard the saying, “Energy cannot be created, only transferred.” This holds true for the key mechanisms of action for this therapy. Photons of light pass into the body and their energy is absorbed by photo-receptors. One of these is cytochrome C oxidase, which is the final step in a chain of reactions in the mitochondria, where food energy is converted into cellular ATP energy. However, a second and even greater observed mechanism of LLLT is the generation of nitric oxide within a localized area. As light waves and photon energy travel through the skin, they cause a release of nitric oxide which immediately causes a cascade of reactions. The blood vessels of the micro-circulation dilate, or open up, and provide a tremendous increase in localized blood flow. This delivers even more oxygen and other nutrients to enter the area. 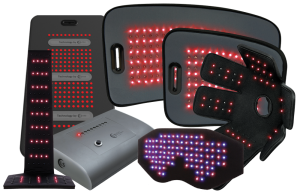 The infrared wavelength provides the majority of this effect, and more devices are using a combination of light with particular focus on infrared wavelengths, to provide the added benefit in localized circulation. Clinically, LLLT has been shown to enhance wound healing, reduce pain and inflammation, and increase local blood flow. As you can see, both LLLT and HBOT cause a significant rise in cellular energy and have been successful in clinical use. However, when both applications are applied simultaneously, or in synergy, we see a much greater benefit, particularly in the field of hyperbaric medicine. Up until now, practitioners could not influence the increased levels of oxygen to go to local areas when a patient is receiving HBOT, but with the advent of combining this procedure with LLLT, we can point to an area and allow greater local effects of HBOT. As noted earlier, the infrared wavelengths that are used in LLLT provide an increase in localized circulation. With that in mind, the greater the number of infrared diodes, the greater the blood flow to this area. Moreover, in a hyperbaric chamber, the levels of oxygen in the blood is supersaturated, and when combined with laser therapy, we can significantly increase the highly oxygenated blood into areas that we wish to have better function, performance, growth, repair and regeneration. Let the body do what it naturally knows how to do and provide the extra support of nature through the advancements made in technology. This is truly the future that we are heading for in health care — back to nature.